The Knicks released the center, stretching the final year of his contract over three seasons. The last moment for Joakim Noah in a Knicks uniform came on Jan. 23, 2018. He played only 4 minutes, 31 seconds, and he and then-coach Jeff Hornacek exchanged angry words the next day. Noah was put in exiled limbo after that, and he officially parted with the Knicks on Saturday when they released him. The Knicks will pay him the $18.5 million owed to him this season and stretch the $19.3 million owed next season over the next three. 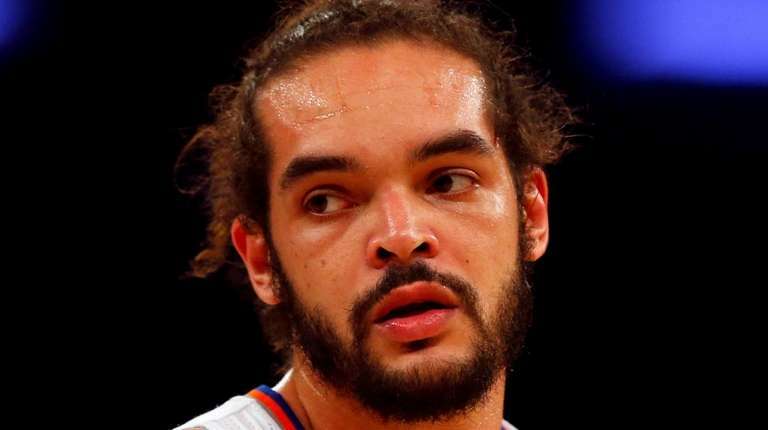 The two sides had been negotiating a buyout of his 2019-20 salary, but with no market for his services, Noah and his representatives did not budge. The Knicks will pay the 33-year-old $6.4 million per year over the three years. The move frees up approximately $13 million in cap space for the Knicks next summer, when they hope to dive into the free-agent market. Noah never was close to the player the Knicks believed they were getting when former team president Phil Jackson signed him to a four-year, $72-million contract before the 2016-17 season. While many NBA executives were puzzled at the deal at the time, Jackson said Noah convinced him that the injury troubles that had diminished him from the center who was the NBA defensive player of the year in 2013-14 were a thing of the past. Jackson and Noah described the signing as a match forged from Noah showing up at Jackson’s Montana ranch and their paths crossing in New York. Noah offered to let Jackson do a pull-up on his extended arm to prove his shoulder was healthy. But it hardly panned out. He played only seven games last season, totaling 40 minutes of action, after playing and starting 46 games in his first year in New York. But that season ended with an injury and a 20-game suspension after he tested positive for a performance-enhancing drug. While there is a new coaching staff in place that could have given Noah a fresh start, the Knicks never entertained the idea of bringing him back. The parting allows Noah to try to hook up with another team and resurrect his career, and it opens up a roster spot for the Knicks. Noah Vonleh, signed with a partial guarantee over the summer, likely will slip into one of the 15 spots. The Knicks currently have 15 players under contract plus two-way deals with Allonzo Trier and Isaiah Hicks.